Document every step of the way to hopefully achieving my private pilots licence. ….and maybe along the way someone else will find it interesting or useful in one way or another. It’s going to be about flying and nothing but flying. Why learn to fly in the first place? It’s in your blood or it isn’t……if it isn’t, you’ll walk away from a trial flight with not much more than “that was a lot of fun.” If it is, you’ll find you exited the plane and headed straight to the aero club desk to book more, much more…..as soon as possible please 🙂 Clearly I fall into the latter group. All well and good, but if you just wanted to get airborne there are cheaper ways to do it. For example a National Private Pilots Licence (NPPL), will make you legal to fly in the UK, in Visual Flight Rule conditions in UK registered planes. Requires 10 less hours to get (from a legal perspective, your mileage in training by differ), equating to a ball park saving of £2,000 compared to getting a Private Pilots Licence (PPL), which requires a minimum of 45 hours in the air. Why not do that then? How often are you going to leave the UK, really? If you’re going to do anything that will take a long time and/or cost a lot of money, I propose you need to do it because you have a dream. You go to University for 3+ years because you dream of becoming……… Before setting out on a Private Pilots Licence course, it’s good to know why you want that licence. I might only ever do it once in my life, that is still to be seen, but my dream is to fly myself to Jersey. The Prevention of Terrorism Act requires all aircraft flying between Great Britain and the Channel Islands (among other places), to do so via designated aerodromes, where they will have to complete Special Branch procedures – or apply in writing to the police to use a non-designed aerodrome, at least 24 hours before flight. Look carefully at the chart above, notice the “CTR [A]” over the sea? That means flying through Class A airspace, which you can’t do – without using/getting a Special VFR clearance to do so. It’s about as south as you can go before you need a new map! (See Picture above). Great blog very interesting, I am currently also learning to fly (last lesson was stalling on the 2nd Dec 2011) at the flight centre at Southend airport. Good to read about other people in a similiar situation. I also initially struggled with taxiing on the first few lessons and also struggle with the radio calls etc…. I am now 7 hours up and have also experienced the joys of the British weather causing cancelled lessons and getting in the way of learning. So far only flown a C152 but have landed it once and experienced a return to airfield due to alternator failure (interesting in itself as involved warning lights and a shade of Apollo 13 in regards to switching off all unnecessary electrical equipment to conserve batteries… was fun! Agree with you on the stalls, it actually seemed to be very hard to stall the aircraft, there seemed to be so many things you have to do badly for it to actually stall unintentionally. Thanks for the comment, great to hear from other people learning to fly. Hope the weather stays good for you and good luck with the flight training. Still reading your blog with interest as its nice to compare how others are doing. Dont know if you have gone solo yet but when you do what a surreal experience it is!! I went solo for the first time last Sat (26th May 15 hours) and it is an experience that will stay with me for life. Did three circuits and then landed for my instructor to leave the aircraft and then taxied off on my own for one circuit. Was hoping for a standard circuit but was odd from the outset as first of all got held at Alpha four (at Southend airport) while taxying and never held there before and had a slight panic over where the holding point was. (was held so an Easy jet Airbus could pass in front of me) then had to dodge a couple of RAF Typhoons in for the airshow!! If you have done it but just havent added it to your blog then you probably know exactly what I am talking about!! Great to see you’re still following it (I have about 3 weeks of flying to catch up on with the blog :-\ ). I’ve read elsewhere that in the 152 you really feel the difference of weight when you don’t have a passenger. I fly I 172 which is designed for 4 people so I’m guessing the effect is going to be less so (but…..we’ll see – must try and remember to write that up for anyone else reading this). Sounds like you had a great first solo though and some good tales to tell of the experience, well done and hope it keeps going good for you in your training. Hi still following your blog with interest, we both seem to be at a similiar stage in our training as I finished my solo circuits a few weeks back. Although glad to see the back of the circuits as it has felt like its all I have done for the past ten lessons or so. It didnt go completely smoothly as when I arrived at the club the 152 was grounded with radio failure so had to use the clubs other plane. A PA28-180 Cherokee which I have only flown and landed once before and not solo. Its a totally different animal to the 152 and gets round the circuit so much faster so all my usual timings and reference points were all over the place. Was an experience and even now two weeks later am still unsure if I did three solo landings or three solo consecutive crashes on the runway. Anyway glad to now be venturing out as this weekend I resume the navigation training of the course so will actually be flying somewhere rather than round and round the airport. Changing instructors gives me enough to worry about, I can’t imagine them changing the plane type. Still I bet it gives an appreciation for the power (or lack of) in a 152. Not tempted to get them to keep you in the Cherokee now? Good luck with the rest of your flying and feel free to post any updates on your training, always good to hear how others are getting on (nice to know all these weird events don’t just happen to me that’s for sure 🙂 ). its nice to follow someone on their way to their ppl. 🙂 i stopped flying for now and decided to do all my exams so that i can focus on flying without the stress of the theory which will be behind me. struggling with Met though! good luck! i have yet to go solo as well. Thanks for the comments and hope you like the blog, since my last comment on this page I’ve now flown solo a few times. Looking back at this page and the comments on it, has reminded me I successfully forgot to post about the flight characteristics of a C172 when solo vs duel……..will try and do that in coming days. Good luck with the exams, my plan of attack on those now is to get Human Factors done this month and then get Flight Performance out of the way. All being well that should line up with the beginnings of navigation in the plane (and having to learn the textbook :-\ ). Navigating is what its all about, my instructor said “right find and fly me to Brands Hatch and back via such and such a village”. Its good fun actually flying a heading and actually finding that when done accurately you get where your going. Brands hatch is pretty impressive from the air especially when you can see cars racing around it. After the workload of the circuit flying and constantly performing checks and worrying about radio calls etc… and when to turn / descend. (was also a novelty turning right for a change and reach 2000ft). Was good being able to point the aircraft in a direction trim it and enjoy the views, was a lot more relaxing and even flew over my house at one point. If the weather is ok hopefully will be up in the Cherokee this weekend for more nav (as the 152 is fully booked) and may even attempt the met exam. (found this one tough to get my head around). The Cherokee is more expensive per tacho hour so probably most of my training will be in the 152. As you say, looks like we started about the same time and going through it at about the same rate, always good to know. Making me feel like I’m falling behind on the exams though 🙂 Based purely off what the club said go for next, I’m aiming to have Meteorology done by end of Oct. or Mid-Nov. depending on how much free time etc. Cost wise it’s funny how “small” differences add up, it’s one of those marketing things I guess that at £179/hr in the 172 it seems fairly reasonable, but do a couple of extra circuits, burn an extra twenty minutes and now it’s £240 for the flight……some how that seems so much more expensive. There’s value to be had in currency/frequent lessons over length and I know that sort of variation in cost per lesson can really make you think “Go flying one more time this month?” etc. This poxy weather!!! Like you I have had quite a few lessons cancelled over the last few weeks, last Saturday was my first bit of flying in 4 weeks and even that was touch and go. Supposed to be learning more nav and how to divert etc…. but has been put off due to rain / wind / cloud / etc… etc…. This Saturday eventually got off the ground to do a bit of instrument work. Flying on instruments certainly focuses the mind as after a while in the cloud you have no idea whether you are going up / down or sideways unless you rigidly follow the instruments. Bursting through the top of the clouds is fantastic though as the views are stunning up there in the sunshine, such a contrast to the mirk below! Did a bit of advanced flying and fully developed stall recovery as well when we could find a hole in the cloud where we could see the ground below, excellent fun. Rumour has it the sun could be out on Saturday so I may get some of the final bits of nav done before I can start thinking about my QXC…..fingers crossed! Sounds like your still making good progress though. Weather scuppered us both at the weekend it seems…..the rumour of good weather was simply that apparently, very frustrating…… Did use the time to get the nav exam out the way though so 5 exams done now so leaves me with just two to go so the weekend wasnt a total loss. Ok now I really need to get my act together on the exams, 5 done already, impressive. I must get Met. done this month. The weather wasn’t great, but some how I got a few more minutes in the book as the posts show. PFL lesson now done (haven’t written it up yet), so it’s getting there and a local area solo is on the cards next allegedly, so I need the weather to hold a few more weekends and then I’ll be happy for it all to spin down for Christmas and snow, at a sensible point in the training. Glad to see you have managed to get some flying in over the festive period as all of my attempts have been scuppered (by not always the weather!!) Havent flown since the 15th dec which was a very enjoyable flight landing away at Lydd and dodging cloud. It brought home the benefits of learning to fly as Lydd is probably a 2 and a half hour drive from Southend…. We got there in 25 minutes as we had a fairly strong tailwind. Quite strange landing on an unfamiliar runway without the usual prompts of when to do what. Joining the circuit was interesting as well because when you are used to runway 24 or 06 (base leg etc being 33 and 15). Amazing how simple tasks like your maths fail you in these moments as I struggled to work out what 21 + or – 9 was!!! All attempts since have been weather no gos and to cap it all on Saturday I turn up to find the aircraft was still in maintenance and not available (would have been nice for them to text me before travelling to the airfield). 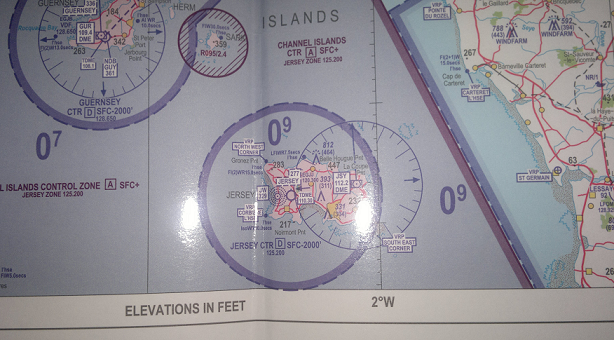 Next lesson is local nav but seems fairly elusive at the moment…. So amazing is my Geography I had to look up Lydd on a map (what on earth am I doing learning to fly with geography skills like this) 🙂 but that looks like it’d be an impressive trip to take, I’m guessing you took the short hop over the exit of the Thames etc. Looking forward to landing away, as you say though, if the task isn’t instinctive, with the engine in the background and a million other things to do. A checklist or some simple math etc. it all becomes seemingly so much harder to do. I must have booked 5 lessons in over Christmas and had them all cancelled, recently I’ve got pretty lucky though and just about avoided the snow. Just have my fingers crossed for the weekend now. Lydd is literally in the middle of nowhere, if you miss it its next stop France!! Was a great hour or so in the air and felt more special than the first solo as actually flying off somewhere and being able to relax with it all is an unbelievable experience. Heres hoping for a nice stretch of decent weather over the next few weeks ! Looks like an impressive triangle to fly, well done. The flight back from Abberton hoping your home airfield would come into sight eventually must have been an interesting leg of the journey! Rough numbers it looks like by air ~46 miles, suddenly very reasonable. Can you imagine doing the same trip in a car! (Google reckons ~2.5 hours). Must make your flying feel a little bit more justified. Having just done my first solo out of sight of the airfield, I’ve got to agree with you, I found that more memorable then my first solo circuit. So really starting to look forward to getting into Nav. proper now. Fingers crossed with the weather and good luck with your flying. All exams now passed! At least now I will not be affected by the EASA changes to the ground exams (9 instead of 7) when they finally release the details and I no longer have to carry the books on the train to study anymore!! Only the RT practical left to do on the deck now…. QXC!! Did my QXC last weekend…. or so I thought!!! Flew from Southend to Goodward and then onto Lydd and back. Things couldnt have gone better, good weather and all legs without a single problem. Great I thought next stop the skills test….. However, on arrival back at Southend when I checked my form the Lydd part of it had been stamped but not signed or dated… bugger! Instructor said not to worry as he will post it to them to complete the form as they had clearly stamped it to say no issues and that he had phoned them when I was on route back to Southend to see if all was well to which they confirmed all was good. I then get a phone call later in the week from my instructor to say the head of air traffic at Lydd wasnt happy signing the form as he was not advised beforehand of my impending arrival on the day. Apparently this is a requirement so my instructor has dropped the ball here but thought to myself not to worry as they confirmed all was good and stamped the form so surely it would just be a matter of people talking to each other to sort this out. As surely the guy with an issue at Lydd could speak to his colleagues to confirm all was well on the day with my approach and landing etc… or failing that reviewing the radar trace if possible etc…. Unluckily for me however that is not the case and I have to do it all over again simply because a piece of paper and no phone call (Goodward did not have an issue with the lack of a phone call I will add!). Just goes to show politics and bureaucracy exist in all walks of life…. at least my flying school understand and will pay a large chunk of the cost towards me re flying the route. At least it was 3 hours in the book and almost my solo requirement done but its a pain to have to redo it as I was hoping to get a test practice next up…. I suppose on the bright side doing it again will at least push me over the magical 45 hour mark…..
lesson learned to double and triple check paperwork in the aviation game as otherwise you can find yourself with problems…perhaps I was too keen in leaving Lydd as I thought the hard bit was pretty much done…. very frustrating!!! I know there’s a comment below that you get this sorted in the end…..but damn that sounds like an evil experience to go through! Was this a dispute over obtaining PPR or just them being grumpy about not knowing they had a student coming? Great news!!!! Lydd now approved the QXC!!!! Well chuffed as now do not have to do it again, dont know what brought on the change of heart from them. Skills test passed….. after 23 months and 49 hours 20 minutes of flying the test is now passed. Just need to send off for the licence now!! Absolutely loving the flying and started to read up on Air Law… I fly out of Wellesbourne (near Stratford-on-Avon) in a PA28 (160 Warrior) – Great fun! Good luck with the flying – great to hear from you. Feel free to post comments on how you get on. It’s good to hear from others and how they get on with learning to fly etc. I stumbled across this blog whilst researching info and getting some ideas about learning to fly. I have started lessons, and have just completed lesson 4 (apart from 2 last year on my husband’s Falco, which was the equivalent of learning to drive in a Ferrari…stupid!) and it’s great – although the multi tasking involved in flying seems almost insurmountable. However, your blog is very encouraging, and you’ve written it with such depth and feeling, I can totally relate! I am re-reading bits, and I have to say, I’ve found it really really helpful (plus all the extra learning points you’ve put in), so thank you very much! Thanks for the comment, good luck with the flying…..it gets better, much better. Once you get into navigation and it all starts coming together and you can start going places, then it really starts to get good (by which time you’ll be seemingly doing 10,000 things simultaneously as if its second nature). ….plus comments from Steve Flin very helpful too! I’ve just started the course at the Aero Club – and just a quick note to say many thanks for your blog – it’s a real inspiration! Out of interest – have you now passed? And how does the new exam system fit in with the theory books? Apologies for the slow reply (Your message fell into a sea of spam). Yes, I’ve now passed – and my blog is catching up :-\ I found that towards the end, I was flying more then I actually had time to write it up, but I’m back publishing now as I have most of the photos and content etc. I got incredibly lucky with the lack of cancellations from around Nov 2013 – January 2014 when I passed. I’m sure they’ll eventually get on top of it, but I found the new exams are not very well aligned with the books. I’ve heard that Operational Procedures is the most mis-aligned of the lot and certainly when I took it I found there were questions for which PPL #2 alone could not cover (e.g. the book that traditionally has a section devoted to Operational Procedures). It’s a shame they couldn’t have timed/planned the new exam syllabus to be introduced with a new set of book publications, but I’m sure I’m not the first to suggest such sensible ideas. Good luck with the course, the aero club has a great social / bi-monthly get together at local pubs (if you’re not on it, ask at the desk to get on the mailing list), hope to see you around. Great Blog which I have been following for some months now. I have decided to add other PPL Blogs to my site going forward. May I add a link to yours on my site at http://stepbystepppl.wordpress.com? Many Thanks and keep em coming! Thanks for the comments, glad you like it – though I’ll be the first to admit I’m skipping a lot of flights since I got my license, there seems to be enough time to go flying, but not enough to write it all up and as I’m now in control of where I go, for how long, I’m flying seemingly much more. Would very much appreciate the link, it’s also given me a chance to read through your blog. Well done on the first solo! Connington is only a stone throw away from me, I’ll have to try and go back there at some point (it was one of my QXC stops). My blog hasn’t quite kept pace, but I’m now completely hooked on farm strip flying so I haven’t landed on a asphalt/concrete runway for ages. Are you still using the sennheisers? Just ordered a pair partly based on your comments and reviews I’ve read online. I’ve only done 9 hours and so far have been using the club’s DCs. When they arrived my first thought was ” wow, they’re huge” I’ve only got a small head. Yes I’m still using my original set of HME-110 , they’ve been perfect, right through the PPL, night rating and further training plus general flying. They’re light weight which is good for when you have a bag of other toys to carry, solid build quality and guaranteed for nearly forever. They’re good enough that I’ve since bought a second pair for use by friends/passengers etc. The only thing I’d recommend is to get the add on gel seals for regular use, I think they’re a little bit more comfy then the out of the box ear pads but my spare pair is completely as is from out of the box and passengers have always liked them. As a side note, Replay XD cameras mount really well on to the side of these headsets. Hope the blog/reviews have been helpful and good luck with the flying. Came across your website a few weeks back and what a gem of a find it’s been. You have loads of great information that has helped me out massively and I thank you for that. I’m currently doing my PPL at Stapleford. I’ve got the exams out of the way and I’m now just concentrating on my flying, I’ve only got 13 hours under my belt so I’ve got a long way to go. Keep up the great work with your site and the best of luck with your flying! Great to hear you’ve found it interesting and of some use. You must be somewhere around the point of either starting circuits or just about to? Circuits for me were something I spent hours and hours waiting to get into, finally to be allowed to land the plane and all that! Followed about 12 hours later by really, really wanting to see the end of them (I certainly reached a point where I was beginning to feel like no amount of going round in circles would make me any better then I was…….and if that wasn’t good enough, then that was as good as it was going to get). Bizarrely it took 1 briefing and some magic words of advice and suddenly it all clicked into place. These days I wonder why it took me so long. Good luck with the rest of the flying, feel free to come back and post updates on how you’re getting on, it’d be great to hear how you progress etc. Great blog, really enjoying reading it. I am 35hrs into my training, and on Sunday I’m heading to Jerez in Spain to (hopefully) finish it and get my licence. Interestingly, my aim is to fly to Guernsey, as my PPL training is a kind of ‘early inheritance’ from my uncle who is a Guernseyman and he always dreamed of flying himself to Guernsey but, age 77, is now too old to do it himself. So the agreement is that once I have my licence we will take a plane from Dunkeswell (my local airfield where I have been training so far) and fly to Guernsey together. I can’t wait! Anyway, thanks for writing the blog, and keep it up. Sounds like you’re nearly there with the license then and I must apologise for not seeing this comment sooner (the blog gets alot of spam!). Good luck with the rest of your training. Sounds like a great thing to do once you have your license. Keep flying, hope the weather holds a little longer for you. Good luck with the flying…..it gets better, much better. Apart from that, nice blog! I love this blog! i have been reading it for some time. It has been my dream to learn how to fly, and due to finance and location issues i haven’t been able to go for it, until now. my sister lives by http://www.flyhaa.com/airplane/ and is helping me with the financial side. I am so thrilled and just wanted to say thank you for your positive words! Just signed up today, full package, providing I pass my medical, Weds 4th May, lim excited but somewhat fearful. Your blog is great, and what a lot of work you put into it. Many thanks. All the best with your medical and the rest of your flying. Just found this blog, looking to clarify HASEL checks for stupid brain, ha ha. Just started out and love it. Will be reading so much more of this blog, thankyou for it. Thanks for the comment and good to know the blog was useful. Good video, I guess if I had to comment on the overview video, I’d say unless my training was an exception to other schools you actually don’t need to rush out and buy kneeboard & chart right up front – especially if you spread it out over 2-3 years (the chart will go out of date before you get into your Nav. training and thus before you’ve ever had any real use in anger out of it – even worse now that the Nav exam doesn’t contain the need to use a chart! [madness, but there you go, the older exam was better in my opinion]). All that said, it’s nice to have a chart to be looking at and reading the books with and the cost of a kneeboard is totally in the noise of the cost of training so why not just get one? 🙂 It’s a nice summary/overview video really, well worth a watch for anyone wanting pretty much everything you need to know before getting into it, wrapped up in 6 minutes. If you ever find yourself down south where the sun shines (well I’m willing to bet more than it does north of the border) feel free to give us a shout.